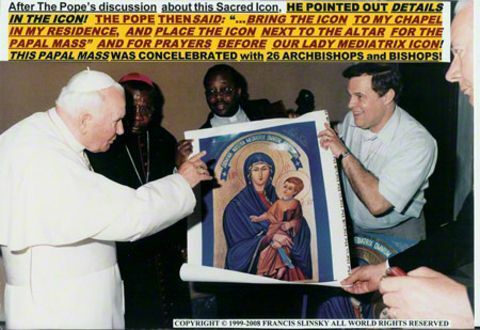 People gathered from the entire area to see the apparition – which lasted into the next day. 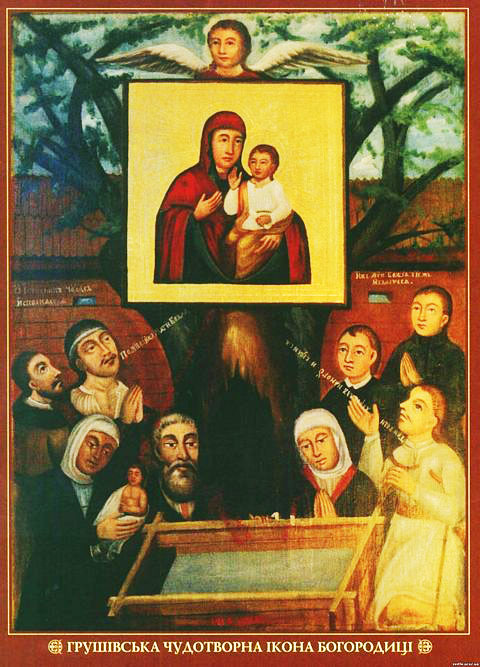 The people of Hrushiv had planted a weeping willow tree at the site many years ago, commemorating an appearance of the Blessed Mother some 350 years earlier. Later, a spring suddenly appeared beneath the tree. During the severe cholera epidemic of 1855, a local person dreamed that the Virgin had instructed the residents to clear and reclaim the ancient spring and hold Mass. Not one cholera death was reported afterwards. 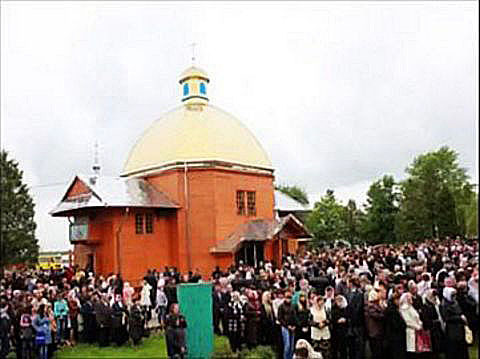 Then, on April 26, 1987, seventy-three years later after 1914 and exactly one year after the Chernobyl nuclear reactor disaster, a bright light covered this church of the Holy Trinity and the surrounding area. A television program even recorded part of this light phenomenon. From within this “impressive silver dazzle” over the church, the Virgin Mary appeared and floated above the cupola of the church. 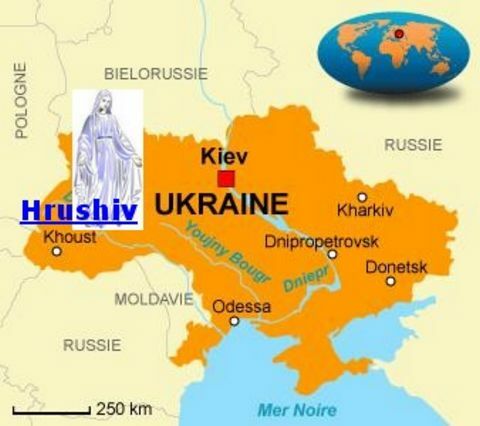 Location of Hrushiv in the Ukraine. 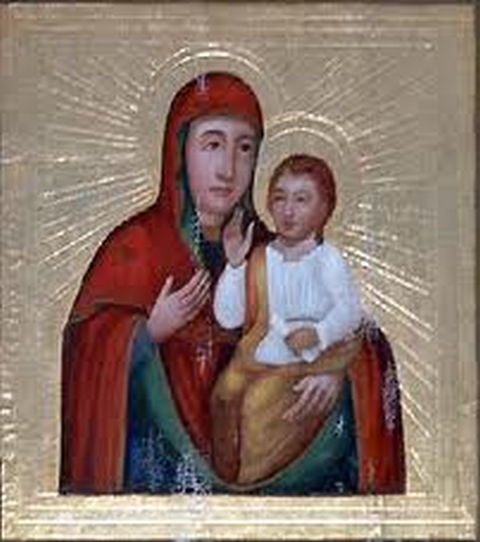 Although Our Lady predicted that the Ukraine would “suffer terribly for eighty years” before gaining independence, she was extremely close in her prediction! 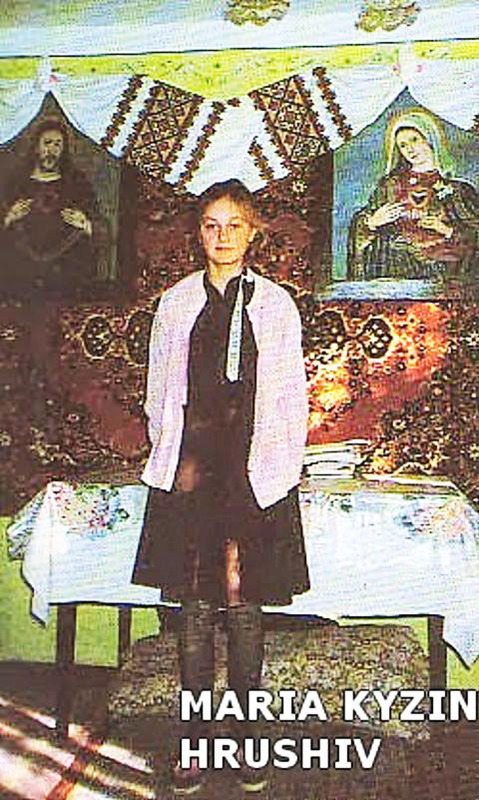 The Ukraine had its declaration of independence ratified in Kiev on August 24, 1991 – some 77 years after Blessed Mary’s prediction in 1914!